Why are statistics so important for upcoming players? Intriguing question isn’t it. 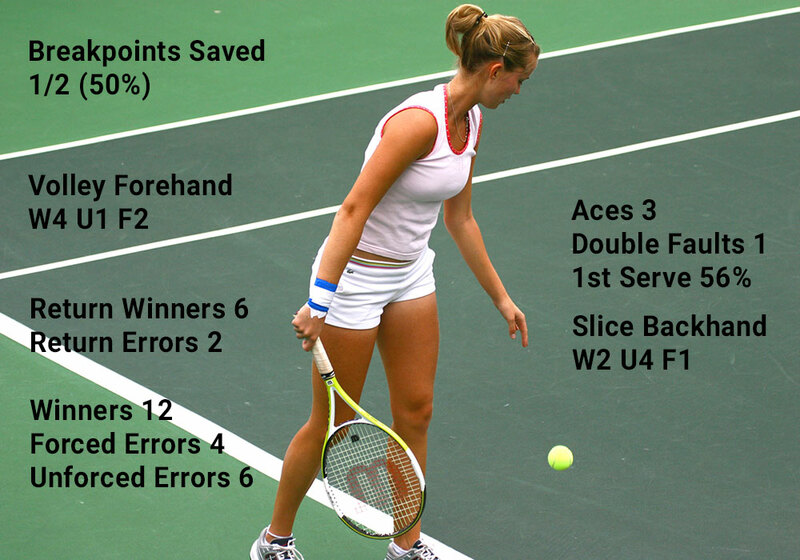 How can numbers and percentages be so important for tennis coaches and tennis players? Statistics is the analytical study of the performance of an individual practicing a sport. In this blog, we will be focusing on tennis just as Smashpoint was created to analyse the performance of tennis players through professional competition, practice matches and amateur’s points of view and mostly everything that is related to points. This application will allow tennis players and coaches to examine the strengths and weaknesses in order to set goals and objectives to improve the outcome of the tennis player’s game. The benefit of statistics for tennis players is that it allows them to detect what they have done well in a match and what needs to be improved. After a tennis match the players will tend to ask many question about their game like “how many unforced errors did I do” for e.g. What was my serve percentage? What was the total of my forehand winners? etc… Therefore, the coach will need to provide a summary of the match and this is where the stats come into action. The data will answer most of the unanswered questions that the player may have in mind. The power of statistics is extremely interesting as it allows the tennis players to see what they have done well in a match and what was not very successful. It enables them to examine the heart of their game. This will allow the player to identify the values this one has and it also enables them to identify the problems that needs to be taken care of. By doing so the player is then conscious of what needs to be improved as they have data of what they produced throughout a game. This will free the players mind as the data will show exactly what points the player will have to work on in order to improve which will lead to a strong road called confidence. It is not always easy to see what players do really well throughout a match, many factors can block this identification especially the result. The result plays an extremely important role for the player such as points, ranking or even money and unfortunately it blinds them from seeing what they have produced throughout a competition. These stats give a different point of view and this point of view leads to the road of improvements. Even more, statistics is an extremely useful tool for coaches. The role of a coach is to improve the game of a tennis player by building up a strong game plan related to the values and strengths of the player. The coach can put in place a programme which works towards improving the player’s weaknesses thus improving every aspect of the game (mentally, physically, emotionally and tennistically). So how can the coach work towards that game plan? Simply by having data and numbers in hand, showing what the player is actually producing in a match as results and what he needs to work on to improve the player’s performance. To reach the goals and objectives the player needs optimise his performance and therefore produce excellent results as both the player and the coach are working towards the same objectives. Smashpoint is currently working with many college coaches in the USA in order to improve the results of each team and bring them to their best level. We talked about how useful stats are to help tennis players to identify the weaker parts of their games and we also explained how important this data is for coaches. But there is more to it. Many amateurs also play tennis and therefore it can be useful for them to have an overview of what they are producing on a court. Especially regarding younger tennis players who are not followed by coaches but who go to tournaments with their parents as well. Many of them enjoy using the statistics to see how well their sons or daughters are doing on the court or what needs to be changed. So, statistics has an impact on many different groups, from the professional tennis player to the coaches to the juniors starting out. As a pro player, I personally encourage the use of statistics in order to help improve the game and also to analyse it with the coach and discuss it. I think it creates a perfect correlation, it allows people to work together towards improving the game and values of the players.